I resonated deeply with this. And Mike would know. Mike probably sees businesses at their most vulnerable, their most broke, their most fragile. The great part of his story is that he also helps them get stronger, more vibrant and in the black. He’s helped us feel more secure, plan better and have insight. After having owned my own business for almost 6 years, I can confirm that it’s not glamorous. It’s very rewarding but very exhausting. It can easily consume all of your time. That’s why, and after reading Mike’s tweet, I work really hard to support the other small businesses that I love. The Wonder Jam is profitable and using that profit to(hopefully) make others profitable is a great feeling. If you’re reading this and you work a regular 9-5, I beg you: SUPPORT TINY BUSINESSES. This can be by handing them money for the work that they’ve done. Or sharing about them when you’re with friends, family or hanging out online. 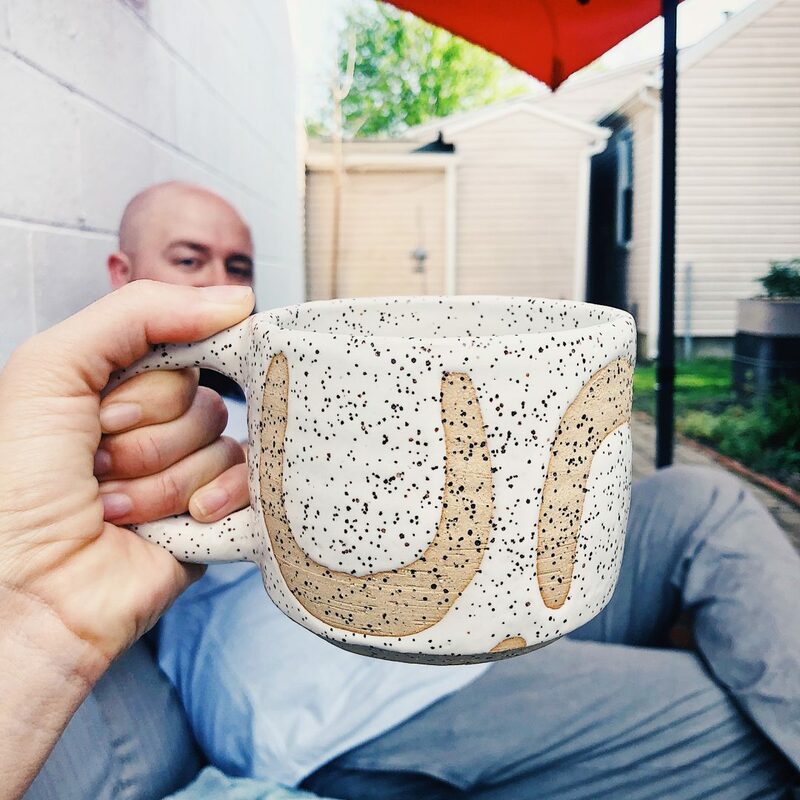 *The ceramic mug in my photo is from Emi Ceramics and I got it today at the Columbus Flea! Oh gosh, I know this seems like I’m skirting the subject but after having over 100+ small business clients, I don’t think I could make a full list and not leave someone out.